In this guide I’m going to show you the easiest way to watch American Netflix in the UK. In a matter of minutes you’ll be able to access a whole range of exclusive American Netflix content from the comfort of the UK. Netflix is a great service, in fact it’s become one of the UK’s most popular and with kids now watching more Netflix than the likes of BBC iPlayer it seems our Netflix love affair is set to continue. While Netflix is excellent and this is certainly true, one other truth which is less easy to bare is the fact that the American Netflix website offers access to more content but not only that, more exclusive content. But fear not my Netflix-watching friend. There’s a super simple way you can tap into this content and watch American Netflix in the UK. So let’s find out how. Netflix is broken down into regions and each Netflix site in each country offers a different catalogue of both TV Shows and Movies. Depending on the country you live in, depends on the kind of access you get and ultimately the size of the movie and TV show catalogue you get. We’re always told size doesn’t matter, it’s what you do with it. But when you’ve got a smaller selection it’s harder to do much with it when a bigger selection exists. This is where American Netflix comes in. To access the American Netflix website you’ll need your regular UK Netflix account details and an app called a VPN. 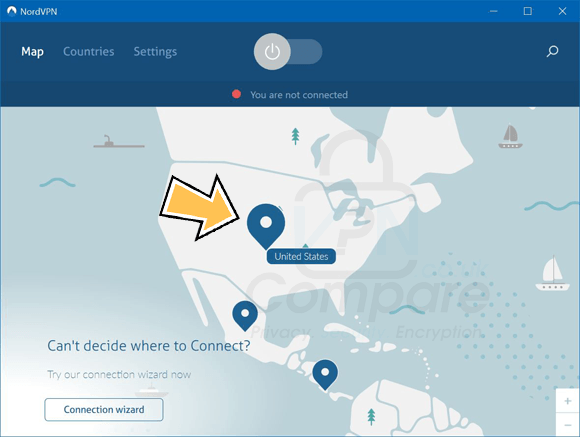 A VPN allows you to change your online location. If you’re reading this you’re probably in the UK, but with a VPN app, you can make it look like you’re in America and so Netflix will let you watch the American catalogue of movies and TV Shows. A VPN service will cost you a couple of pounds per month and the longer you sign up for the cheaper it becomes. When you consider how much extra content you can access it actually works out as a really good deal. Just follow the 5-steps below and you can be watching more content in no time. Visit the VPN provider NordVPN and sign up for their service. There’s a massive 30-day money back guarantee in the unlikely event you can’t get it working. Go to the VPN Apps section of the NordVPN website and download the correct app for your device. You can also search your regular app store for ‘NordVPN’ and download it that way. You should now install the app if not already and then open it. You’ll then need to login with the account details you created when you signed up for the service. On the map view select the United States and press Connect. 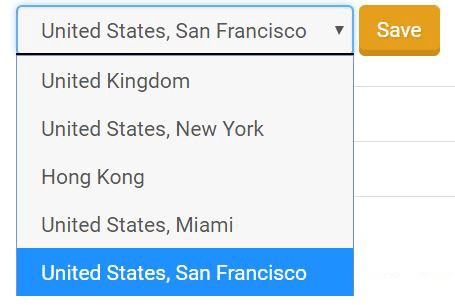 You can also press Countries and select United States that way. Once the app has made connection visit the Netflix website in the usual way where you’ll be able to access a whole range of new content. When you’ve finished watching on Netflix just press the Disconnect button on the NordVPN app and everything returns back to normal. You’ll be able to access your regular UK Netflix catalogue again. 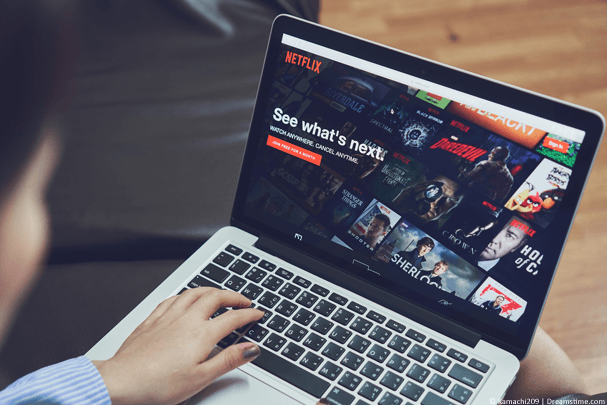 There are no limits on how many times you can connect or for how long so you’re free to watch as much American Netflix as you want with your VPN service. It’s easiest to watch American Netflix on a regular computer, tablet or mobile as explained above in this guide. If you’ve got a Smart TV with Netflix installed then it’s also possible to watch American Netflix on this. Rather than needing a VPN app you’ll need a service called SmartDNS. To use SmartDNS you’ll need to ensure on your TV you can change your ‘DNS Settings‘. The best way to check this is to check the Settings of your TV and the Network Settings to see if you can edit then DNS Settings. Alternatively, search Google for ‘<Your brand of TV> + <Your TV model> + DNS Settings” and see if you can find instructions on how to do this. Many Sony, LG, Panasonic and Samsung Smart TVs allow you to do this but not all do so you’ll need to check first. Once you’ve confirmed you can change the DNS Settings on your Smart TV, follow the instructions below to watch American Netflix. Visit the SmartDNS provider StrongVPN and sign up for their service. Once you’ve signed up visit the StrongDNS Account page and login with your account details. Click Supported Sites and then click Netflix. Ensure that the region is set to United States. Press Home. Then choose the region nearest to you and press Save. Write down the two sets of numbers next to Primary DNS and Secondary DNS. Now on your Smart TV go to the Network Settings area and edit your DNS Settings. Enter the two sets of numbers you wrote down. Remember to write down any settings which are currently entered in case you want to change back in future. Now save the settings and restart your TV if required. You can now open the Netflix app on your Smart TV where you’ll be able to watch the American Netflix catalogue. What’s so good about American Netflix? American Netflix has one of the biggest catalogues of movies and TV shows in the world. It makes sense really because Netflix was launched there and they’ve had longer to build up relationships and buy licences for various content. While the UK catalogue has caught up in recent years it’s still way behind the American catalogue. Entertainment site DigitalSpy put American Netflix more than 1000 titles ahead of UK Netflix. With such a wide disparity between the American and UK Netflix websites, it really shows why a VPN or SmartDNS service is essential to getting more for your money. The simple fact is you can use your UK Netflix account details to get access to more content without paying any more for your subscription. If that doesn’t make sense, I don’t know what does. To watch American Netflix in the UK you’ll need to get yourself a VPN app. A VPN will allow you to watch American Netflix on your computer, tablet or phone in just a few clicks. You can get a VPN by clicking the button below and following the instructions from earlier in this guide and with more than 1000 extra shows and movies over the UK catalogue it’s well worth it.